You need to do all the homework. Stop complaining! On the day of the test, I will have projected on the board what homework I will collect and grade. 1. 4CN with significant use of meaningful connections. 3. S.C.R.I.P.T.E.D: Western Europe, 1450-1750. 4. Alike but Different: Renaissance, Reformation, Enlightenment. Be sure to come to the table with at least bullet-point notes created specifically for each topic. This is in addition to your four column notes. 1. What is the historical periodization of the major pattern change in Western Europe? What are the major trends? 2. 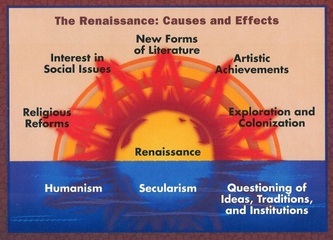 What are the major differences between the Italian Renaissance and the Northern Renaissance? 3. 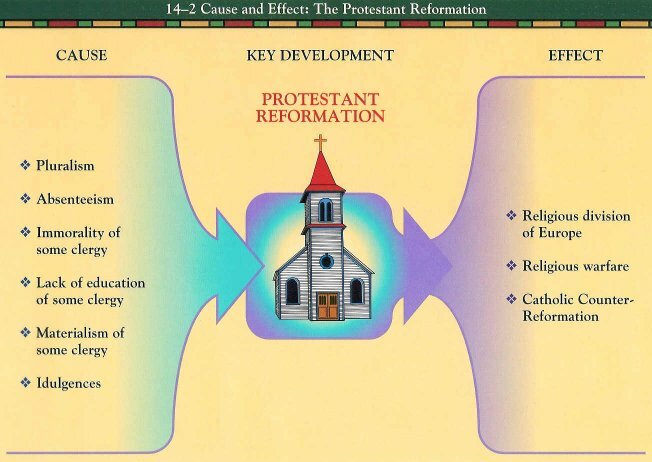 What Protestant churches were established by the Reformation? What was the nature of religious warfare? 4. Do the religious differences between Europeans resemble the arguments between different groups of believers in the other major world religions? 5. Describe the causes and results of the commercial revolution. 6. What was the scientific revolution? What were some major discoveries? 7. What are the elements of absolute monarchy? Where did absolute monarchs develop? 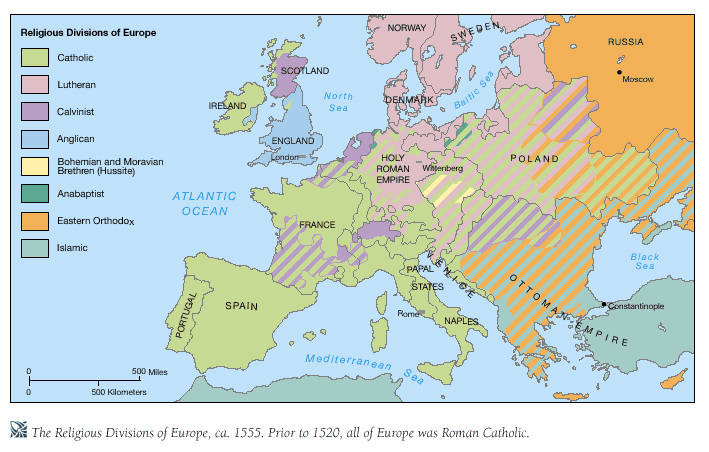 Was the rise of absolute monarchy in Europe a change or a continuity? 8. What was the Enlightenment? How did it expand on the scientific revolution? 9. How were the Reformation, Scientific Revolution, and Enlightenment representative of remarkable change in European society, culture, tradition, politics, etc. 1. Discuss the ways in which the Renaissance, Reformation, and Enlightenment had an impact on the political organization of Europe. 2. Discuss how economic change between 1450 and 1750 altered the social organization of Western Europe. 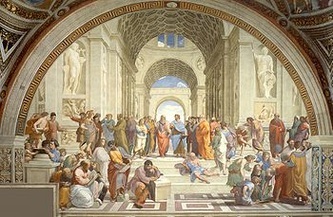 The High Renaissance in Italy is associated with three artistic giants, Leonardo da Vinci, Raphael, and Michelangelo. Leonardo mastered the art of realistic painting and even dissected human bodies in order to better see how nature worked. 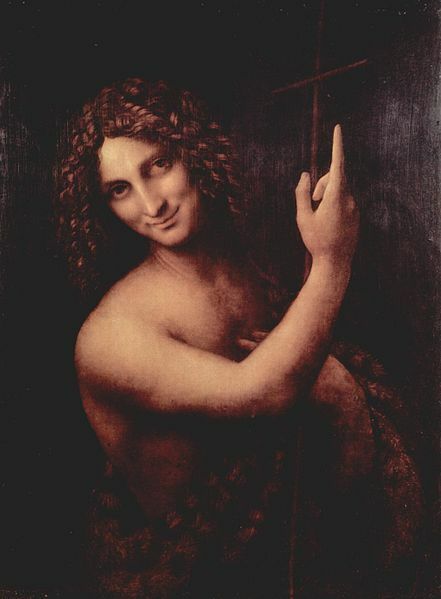 However, Leonardo also stressed the need to advance beyond such realism. It was Leonardo who began the attempt during the High Renaissance to move beyond realism by painting ideal forms rather than realistic ones. Raphael blossomed as a painter at an early age. At twenty-five, he was already regarded as one of Italy's best painters. Raphael was well known for his frescoes in the Vatican Palace and was especially admired for his numerous madonnas (paintings of the Virgin Mary). In these he tried to achieve an ideal of beauty far surpassing human standards. His Alba Madonna reveals a world of balance, harmony, and order--basically, the underlying principles of the art of the classical world of Greece and Rome. Michelangelo, an accomplished painter, sculptor, and architect, was another artistic giant of the High Renaissance. Fiercely driven by his desire to create, he worked with great passion and energy on a remarkable number of projects. 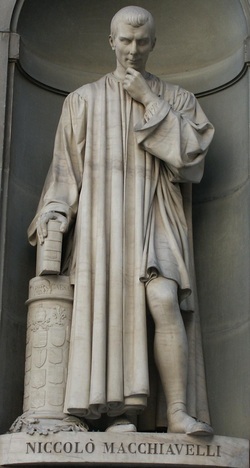 His figures on the ceiling of the Sistine Chapel in Rome reveal an ideal type of human being with perfect proportions. The beauty of this idealized human being is meant to be a reflection of divine beauty. The more beautiful the body, the more Godlike the figure. Another manifestation of Michelangelo's search for ideal beauty was his David, a colossal marble statue commissioned by the Florentine government. Michelangelo maintained taht the form of a statue already resided in the uncarved piece of stone" "I only take away the surplus, the statue is already there." Out of a piece of marble that had remained unused for fifty years, Michelangelo created a fourteen-foot-high figure, the largest piece of sculpture in Italy since ancient Roman times. 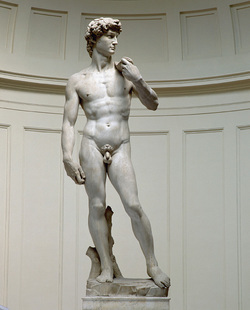 Michelangelo's David proudly proclaims the beauty of the human body and the glory of human beings. 1. List the three artists associated with the High Renaissance in Italy. 2. For what are each of the three artists known? 3. What do you think Michelangelo meant when he said, "I only take away the surplus, the statue is already there"? The Renaissance saw the development of printing in Europe. The art of printing made an immediate impact on European intellectual life and thought. In the fifteenth century, Europeans found out how to print with movable metal type. The development of printing from movable type was a gradual process that occurred about 1450. Johannes Gutenberg, of Mainz, Germany, played a crucial role in completing the process. Gutenberg's Bible, printed about 1455, was the first European book produced from movable type. By 1500, there were over a thousand printers in Europe who had published almost forty thousand titles (between eight million and ten million copies). More than half were religious books, including Bibles, prayer books, and sermons. Most other were the Latin and Greek classics, legal handbooks, works on philosophy, and an ever-growing number of popular romances. The effects of printing were soon felt in many areas of European life. The printing of books encouraged scholarly research and the desire to gain knowledge. Printing also stimulated the growth of an ever-expanding lay reading public, which would eventually have an enormous impact on European society. Indeed, the new religious ideas of the Reformation would never have spread as rapidly as they did in the sixteenth century without the printing press. Printing--and the communication of knowledge that it made possible--allowed European civilization to achieve greater heights and compete for the first time with the civilization of China. The Chinese had invented printing much earlier, as well as printing with movable type. However, their highly structured society made less effort to use printing to increase knowledge of its citizens. 1. What reason is given for the rapid spread of new religious ideas during the Reformation? 2. Why do you think the printing of books encouraged people's desires to gain knowledge? 3. Unit IV begins in 1450. Gutenberg printed the first book in 1455. Coincidence? I borrow shamelessly from here. Vasari here describes how Pope Julius, the most fearsome and worldly of the Renaissance popes, forced Michelangelo to complete the Sistine Chapel before Michelangelo was ready to do so. [The pope was very anxious to see the decoration of the Sistine Chapel completed and constantly inquired when it would be finished.] On one occasion, therefore, Michelangelo replied, "It will be finished when I shall have done all that I believe is required to satisfy Art." 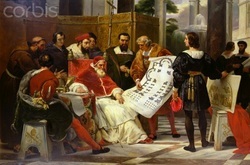 "And we command," rejoined the pontiff, "that you satisfy our wish to have it done quickly," adding that if it were not at once completed, he would have Michelangelo thrown headlong from the scaffolding. 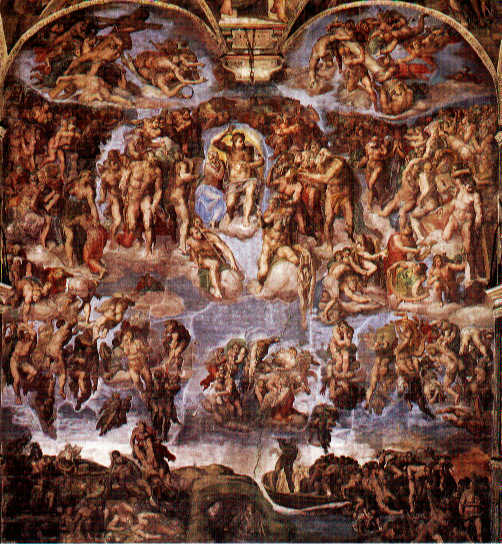 Hearing this, our artist, who feared the fury of the pope, and with good cause, without taking time to add what was wanting, took down the remainder of the scaffolding to the great satisfaction of the whole city on All Saints' day, when Pope Julius went into the chapel to sing mass. 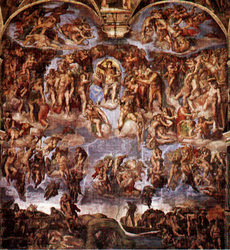 But Michelangelo had much desired to retouch some portions of the work a secco [that is, after the damp plaster upon which the paint had been originally laid al fresco had dried], as had been done by the older masters who had painted the stories on the walls. He would also have gladly added a little ultramarine to the draperies and gilded other parts, to the end that the whole might have a richer and more striking effect. 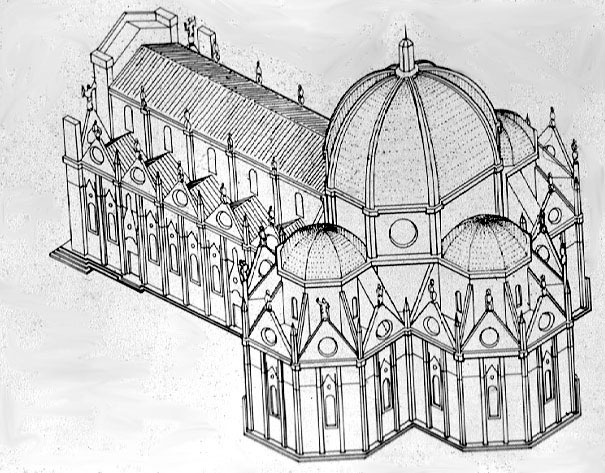 The pope, too, hearing that these things were still wanting, and finding that all who beheld the chapel praised it highly, would now fain have had the additions made. 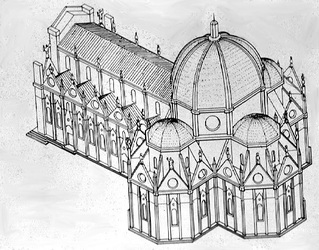 But as Michelangelo thought reconstructing the scaffold too long an affair, the pictures remained as they were, although the pope, who often saw Michelangelo, would sometimes say, "Let the chapel be enriched with bright colors and gold, it looks poor." When Michelangelo would reply familiarly, "Holy Father, the men of those days did not adorn themselves with gold, those who are painted here less than any, for they were none too rich, besides which they were holy men, and must have despised riches and ornaments." From James Harvey Robinson, ed., Readings in European History, Vol. 1 (Boston: Athenaeum, 1904), pp. 538-539. 1. Did Michelangelo hold his own with the pope? Explain why or why not. 2. What does this interchange suggest about the relationship of patrons and artists in the Renaissance? 3. Were great artists like Michelangelo so revered that they could do virtually as they pleased? Provide an answer based on the reading excerpt. In old age Petrarch wrote a highly personal letter to posterity in which he summarized the lessons he had learned during his lifetime. The letter also summarizes the original values of Renaissance humanists: their suspicion of purely materialistic pleasure, the importance they attached to friendship, and their utter devotion to and love of antiquity. The greatest kings of this age have loved and courted me....I have fled, however, from many...to whom I was greatly attached, and such was my innate longing for liberty that I studiously avoided those whose very name seemed incompatible with the freedom I loved. If only I have lived well, it matter little to me how I have talked. Mere elegance of language can produce at best but an empty fame. Frederick Austen Ogg, ed., A Source Book of Mediaeval History: Documents Illustrative of European Life and Institutions from the German Invasions to the Renaissance (New York: American Book Company, 1908), pp. 470-473. 1. 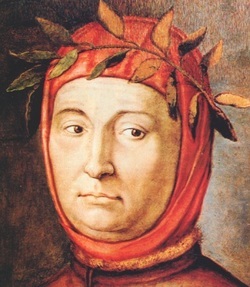 Does Petrarch's letter give equal weight to classical and Christian values? Explain. 2. Why would he have preferred to live in another age? Renowned Renaissance noblewoman Christine de Pisan has the modern reputation of being perhaps the first feminist, and her book, The Treasure of the City of Ladies (also known as The Book of Three Virtues), has been described as the Renaissance woman’s survival manual. Here she gives advice to the wives of artisans. All wives of artisans should be very painstaking and diligent if they wish to have the necessities of life. They should encourage their husbands or their workmen to get to work early in the morning and work until late…. [And] the wife herself should [also] be involved in the work to the extent that she knows all about it, so that she may know how to oversee his workers if her husband is absent, and to reprove them if they do not do well….And when customers come to her husband and try to drive a hard bargain, she ought to warn him solicitously to take care that he does not make a bad deal. She should advise him to be chary of giving too much credit if he does not know precisely where and to whom it is going, for in this way many come to poverty…. In addition, she ought to keep her husband’s love as much as she can, to this end: that he will stay at home more willingly and that he may not have any reason to join the foolish crowds of other young men in taverns and indulge in unnecessary and extravagant expense, as many tradesmen do, especially in Paris. By treating him kindly she should protect him as well as she can form this. It is said that three things drive a man from his home: a quarrelsome wife, a smoking fireplace, and a leaking roof. She too ought to stay at home gladly and not go off every day traipsing hither and yon gossiping with the neighbors and visiting her chums to find out what everyone is doing. That is done by slovenly housewives roaming about the town in groups. Nor should she go off on these pilgrimages got up for no good reason and involving a lot of needless expense. Excerpt from The Treasure of the City of Ladies or The Book of the Three Virtues, by Christine de Pisan, trans. by Sarah Lawson (Penguin Classics, 1985). 1. How would the Church take issue with Christine de Pisan's image of husband and wife and the advice she gave? 2. As a noblewoman commenting on the married life of artisans, does her high social standing influence her advice? Explain. 3. Would she give similar advice to women of her own social class? Why or why not? 4. 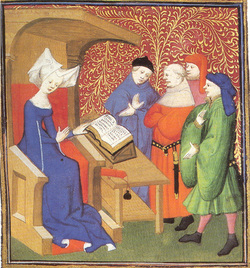 How is Christine de Pisa not fully feminist (in the modern sense)? A prince, therefore, need not necessarily have all the good qualities I mentioned above, but he should certainly appear to have them. I would even go as far to say that if he has these qualities and always behaves accordingly he will find them harmful; if he only appears to have them they will render him service. He should appear to be compassionate, faithful to his word, kind, and devout. And indeed he should do so. But his disposition should be that, if he needs to be the opposite, he knows how. You must realize this: that a prince, and especially a new prince, cannot observe all those things which give men a reputation for virtue, because in order to maintain his state he is often forced to act in defiance of good faith, of charity, of kindness, of religion. And so he should have a flexible disposition, varying as fortune and circumstances dictate. As I said above, he should not deviate from what is good, if that is possible, but he should know how to do evil, if that is necessary. 1. According to Machiavelli, how should princes honor their word? 2. Is the picture Machiavelli paints of princes who have "achieved great things" positive or negative? Explain. In the late fifteenth and early sixteenth centuries, German feudal lords, both secular and ecclesiastical, tried to increase the earnings from their lands by raising demands on their peasant tenants. As the personal freedoms of peasants were restricted, their properties confiscated, and their traditional laws and customs overridden, massive revolts occurred in southern Germany in 1525. 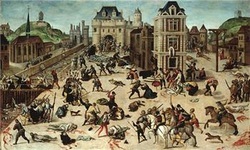 Some historians see this uprising and the social and economic conditions that gave rise to it as the major historical force in early modern history. The list that follows is the most representative and well-known statement of peasant grievances. 3. We...take it for granted that you will release us from serfdom as true Christians, unless it should be shown us from the Gospel that we are serfs. 12. It is our conclusion and final resolution, that if any one or more of the articles here set forth should not be in agreement with the Word of God, as we think they are, such article we will willingly retract. 1. Are the peasants' demands reasonable, given the circumstances of the sixteenth century? Explain. 2. Are the peasants more interested in material than in spiritual freedoms? Why/Why not? 3. In your opinion, which of the demands are the most revolutionary? Explain. The Peasants' War of 1524-1525 encompassed a series of risings by German peasants who were suffering from economic changes they did not comprehend. In a sense, it was part of a century of peasant discontent. Led by radical religious leaders, the revolts quickly became entangled with the religious revolt set in motion by Luther's defiance of the church. 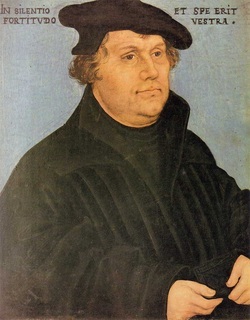 But it was soon clear that Luther himself did not believe in any way in social revolution. This excerpt is taken from Luther's pamphlet written in May 1525 at the height of the peasants' power, but not published until after their defeat. In the third place, they cloak this terrible and horrible sin with the Gospel, call themselves "Christian brothers," receive oaths and homage, and compel people to hold with them to these abominations. Thus they become the greatest of all blasphemers of God and slanderers of his holy Name, serving the devil, under the outward appearance of the Gospel, thus earning death in body and soul ten times over....It does not help the peasants, when they pretend that, according to Genesis I and II, all things were created free and common, and that all of us alike have been baptized....For baptism does not make men free in body and property, but in soul; and the Gospel does not make goods common. Since the peasants, then, have brought both God and man down upon them and are already so many times guilty of death in body and soul....I must instruct the worldly governors how they are to act in the matter with a clear conscience. First, I will not oppose a ruler who, even though he does not tolerate the Gospel, will smite and punish these peasants without offering to submit the case to judgment. For he is within his rights, since the peasants are not contending any longer for the Gospel, but have become faithless, perjured, disobedient, rebellious murderers, robbers and blasphemers, whom even heathen rulers have the right and power to punish; nay, it is their duty to punish them, for it is just for this purpose that they bear the sword, and are "the ministers of God upon him that doeth evil." 1. How did Luther justify his case against the peasants in the first paragraph? 2. What was Luther's view on rebellion vs. murder? 3. Why did Luther support "heathen rulers"? 4. Why was the timing of this publication suspect? Explain. 5. After reading both excerpts regarding the German peasant revolts, was Martin Luther correct in his assessment of the peasants? Explain. During Calvin's lifetime, Geneva gained the reputation of being a model evangelical city. Persecuted Protestants in the outside world considered it Europe's freest and most godly city. Strict moral enforcement made practice conform with faith. 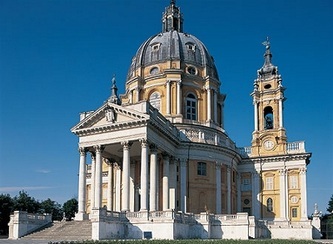 It also gave the city and the new church the order they needed to survive against their enemies. The following selections are from ordinances governing the village churches around Geneva. That the temples be closed for the rest of the time [when religious services are not being held] in order that no one shall enter therein out of hours, impelled thereto by superstition, and if any one be found engaged in any special act of devotion therein or near by he shall be admonished for it: if it be found to be of a superstitious nature for which simple correction is inadequate, then he shall be chastised. Whoever shall have blasphemed, swearing by the body or by the blood of our Lord, or in similar manner, he shall be made to kiss the earth for the first offence, for the second to pay 5 sous, and for the third 6 sous, and for the last offence be put in the pillory for one hour. 2. That taverns shall be closed during the sermon, under penalty that the tavern-keeper shall pay 3 sous, and whoever may be found therein shall pay the same amount. 3. If any one be found intoxicated he shall pay for the first offence 3 sous and shall be remanded to the consistory; for the second offence he shall be held to pay the sum of 6 sous, and for the third 10 sous and be put in prison. 4. That no one shall make roiaumes [great feasts] under the penalty of 10 sous. If any one sing immoral, dissolute or outrageous songs, or dance the virollet or other dance, he shall be put in prison for three days and then sent to the consistory. That no one shall take upon interest or profit more than five per cent upon penalty of confiscation of the principal and of being condemned to make restitution as the case may demand. 1. 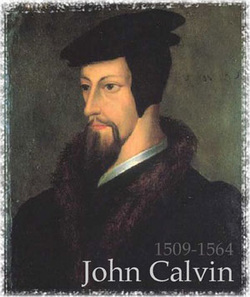 Are Calvin's rules designed to protect the Reformation? Explain. 2. What do these rules suggest that he fears most? 3. Are the penalties heavy or slaps on the wrist? Provide examples. 4. Is it a sign of failure of his reform that the Genevan people never stopped doing these things? Why or why not? 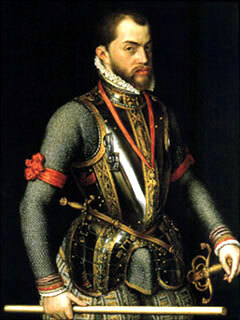 After the abdication of Charles V in 1556, his son Philip II became king of Spain at the age of twenty-nine. Modern historical opinions of Philip II have varied widely. Some Protestant historians have viewed him as a moral monster, but Catholic apologists have commended him for his sincerity and sense of responsibility. These selections include an assessment of Philip II by a contemporary, the Venetian ambassador to Spain, and a section from a letter by Philip II to his daughters, revealing the more loving side of the king. In the king's eyes no nation is superior to the Spaniards. It is among them that he lives, it is they that he consults, and it is they that direct his policy; in all this he is acting quite contrary to the habit of his father. He thinks little of the Italians and Flemish and still less of the Germans. Although he may employ the chief men of all the countries over which he rules, he admits none of them to his secret counsels, but utilizes their services only in military affairs, and then perhaps not so much because he really esteems them, as in the hope that he will in this way prevent his enemies from making use of them. I am sending you also some roses and an orange flower, just to let you see that we have them here [Lisbon]. Calabres brings me bunches of both of these flowers every day, and we have had violets for a long time....After this rainy time I imagine that you will be having flowers, too, by the time my sister arrives, or soon after. God keep you as I would have him! 1. Why did so many European subjects dislike Philip II so much? 2. How did this reaction change his behavior? 3. How did Philip II use his non-Spanish European leaders to his own benefit? 4. How does Philip II's letter paint a different picture of his personality? This short piece is somewhat amateurish, &the narrator is among the many who try too hard to sound Italian when they pronounce "Medici." Nevertheless, it is short and worth watching. When you finish, think about the possibility of glaring omissions, and mention them at some point in class discussion. This piece is even shorter, and for that reason there are a great deal more omissions (and some rather grave--I mean, it mentions Calvin but ignores Luther?). Watch this after reading Ch. 17, and create a list of significant omissions that, although they would have made the video longer, would have made the video better. "The body of Christ is different from most earlier pietà statues, which were usually smaller & in wood. The Virgin is also unusually youthful, & in repose, rather than the older, sorrowing Mary of most pietàs. She is shown as youthful for two reasons; God is the source of all beauty & she is one of the closest to God, also the exterior is thought as the revelation of the interior (the virgin is morally beautiful). The Pietà with the Virgin Mary is also unique . . . , because it was the only one he ever signed, upon hearing that visitors thought it had been sculpted by Cristoforo Solari, a competitor. Michelangelo's signature is carved into the sash the Virgin wears on her breast." Henry VIII would marry six times. Anne was his second wife. He supposedly loved her so much that when the Pope declined to grant a divorce from Henry's first wife, Henry severed all ties with the Catholic Church. But it wasn't a fairy tale ending for Anne Boleyn. Like many others who displeased Henry VIII, she ended up on the chopping block. And although Henry was a known philanderer who often grew tired of his wife at home, the most likely reason for her loss of favor is that she failed to produce a male heir. 1) Why was Anne's "failure" to deliver a male heir so important? 2) Why was adultery a capital charge? Primary Source: Excerpts from Montesquieu's The Spirit of the Law.